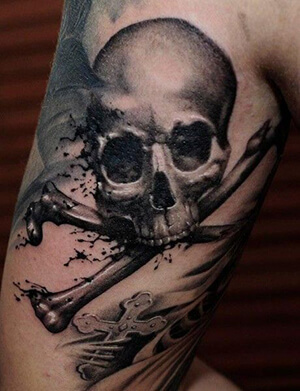 The skull tattoo is the rebel’s hallmark. It has maintained popularity throughout generations, with its simple, bold aesthetic, often understood as a symbol of death and mortality. But skulls aren’t only morbid; they can also stand for optimistic ideas, like overcoming obstacles or protecting valuables. If nothing else, these die-hard symbols may remind us to live life to the fullest. 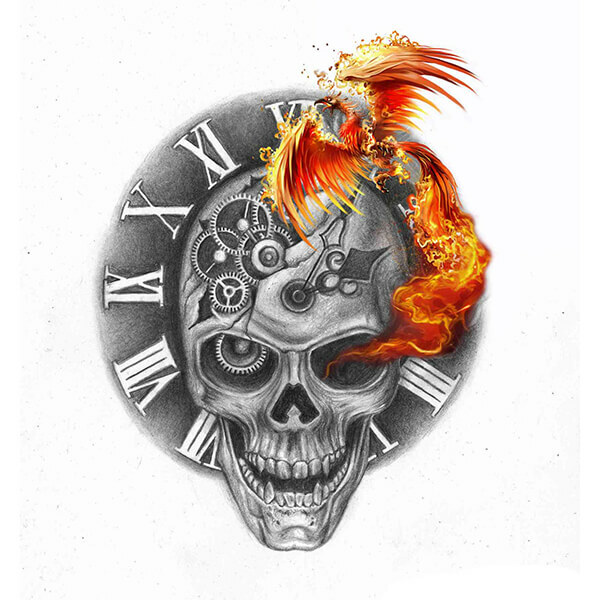 If you’re interested in learning more about the meanings behind different skull tattoo designs, check out our skull tattoo dictionary below! 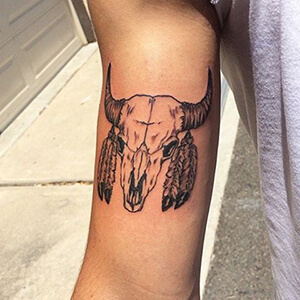 Bull Skull: popular in Texas and the Western United States, the bull skull tattoo design is a symbol for strength, courage, and agility. Celtic Skull: In Celtic culture, the skull was viewed as the seat of the soul. 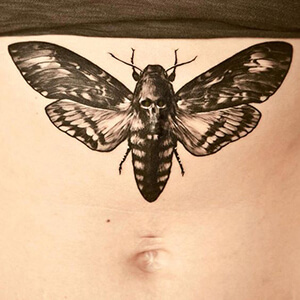 As such, this unique tattoo design has come to represent portals of new understanding, power, and transience. 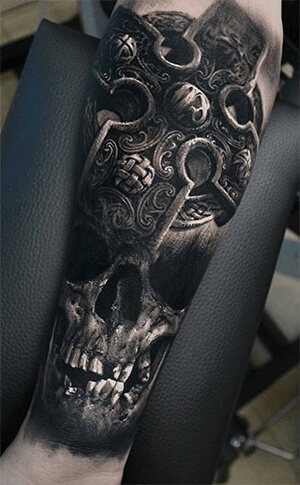 Cross-Bones Skull: this classic skull tattoo design is based on the pirate’s emblem, and it stands for the ruthlessness and despair associated with the life of a pirate. The cross-bones can also represent poison. Death’s Head: also known as totenknopf in German, the Death’s Head is a skull design that has origins in Elizabethan England. This rendering shows a skull without a lower jaw, and it represents moral looseness. Drug dealers and prostitutes often wore these designs to indicate their business. 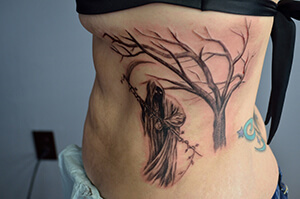 Grim Reaper: perhaps the most straightforward of the skull designs, the Grim Reaper skull is adorned with a long scythe and a black robe, and it represents courage, good fortune, and the circle of life. Mexican (Sugar) Skull: in Mexico, the Day of the Dead is a popular celebration where families get together to make decorated skulls out of sugar or candy. These skulls stand for a celebration of life. 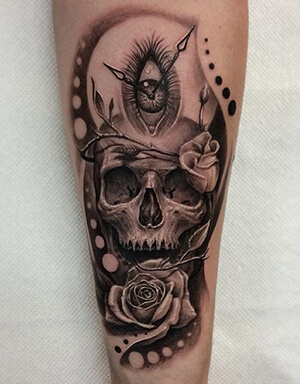 Rose Skull: a skull with a rose held in its mouth is a popular tattoo design that symbolizes the duality between life and death. Serpent Skull: often depicted in the American traditional style, the skull with the serpent is a gothic symbol that represents knowledge’s persistence beyond death. The snake is a symbol of knowledge and secrecy, and the skull is a symbol of death. 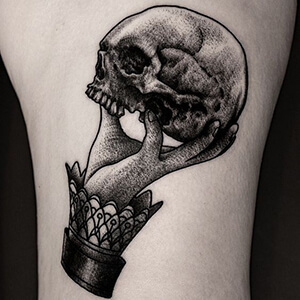 Shakespeare Skull: In Shakespeare’s play Hamlet, Hamlet laments the death of his jester, Yorick, remarking that he was a “fellow of infinite jest,” while gazing at his skull. This skull symbolizes life’s absurdity and the union of comedy and death. 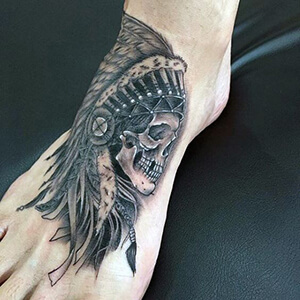 Tribal Skull: this bold, geometric skull design is in memory of those who have passed away, and it can also stand as a symbol of ghostly appearances from those who have died. 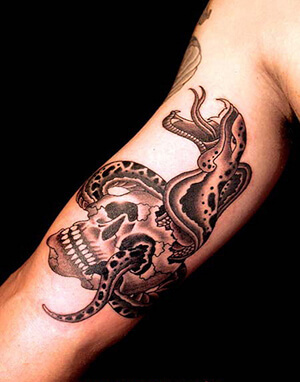 The skull is a widely recognized symbol, and its badass aesthetic has kept its allure over the years. Whether it stands for the sinister or the sanguine, the skull is a powerful image that people can really relate to. 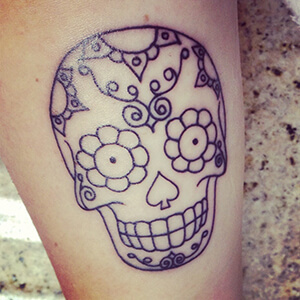 If you have any additional points about skull tattoo meanings, let us know about them in the comment section below!